The sample secretary resume can be a personalized to meet your resume needs. A well-structured resume format that is easy to use and effective. Get the secretary job you want with a professional resume that promotes your key credentials to potential employers. Secretarial jobs typically involve a wide range of tasks and skills. Highlight the scope of your competencies and experience as they relate directly to the job opportunity. Insert your own details into the sample resume, adapt the secretary cover letter and get ready for the job interview. A secretarial position in a dynamic work environment. Seeking a position as a secretary in a professional company. To secure the position of secretary in an established company. and accurately. 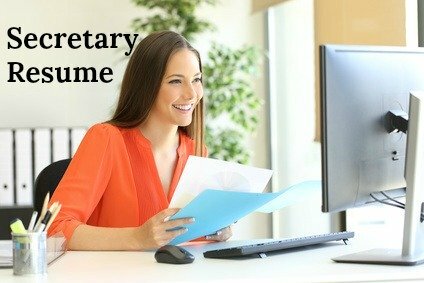 A strong administrative background coupled with excellent computer skills facilitates the provision of complete secretarial support. A self motivated worker who is able to communicate effectively at all levels. Over 8 years secretarial experience in a fast-paced work environment. secretarial support to a department of 5 employees. Skilled at problem-solving and decision-making. A conscientious worker who is always willing to go the extra mile. A top performing secretary who is both professional and trustworthy. Known as a hard worker committed to the efficient completion of challenging projects within deadlines. Proven ability to resolve problems and follow through effectively. Successfully implemented work processes for improved efficiency, organized events and functions and liaised with clients at all levels. Develop your own resume using the framework of this secretary resume sample. 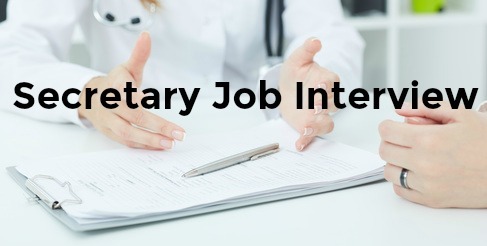 The detailed secretary job description will help you. Personalize the secretary cover letter to send with your resume. Always include a convincing and well-written cover letter with your resume.